Munich. Not only the natural look and feel of precious wood and 100% water resistance, but especially the comprehensive and sustainable concept behind the material Resysta convinced the Green Product Award jury and it chooses Resysta for this year’s winner in the category architecture. Since 2013, the Green Product Award has awarded innovative, sustainable design products for sustainable consumption. In 2018 over 400 manufacturers and designers of 25 nations applied. Each submission is assessed thoroughly by a specialist jury in terms of design, innovation and, above all, sustainability. The Resysta material not only convinced by using waste materials and local resources for production, but also by its own recycling network, which allows the production of equivalent new products from old products. The public voting startet on July 17th , when the interested public will be able to choose their winner from almost 100 Selection products on the www.gp-award.com website for four weeks – so it will still be exciting! Products made of Resysta are very similar in feel and look to tropical woods. This is ensured by the special surface sanding. In addition, it conveys a warm and comfortable charisma like wood. But in many areas Resysta can do more than its natural role model. It is 100% water-resistant, does not fade, can be processed like wood and is also economically superior to many materials due to its durability and ease of care. 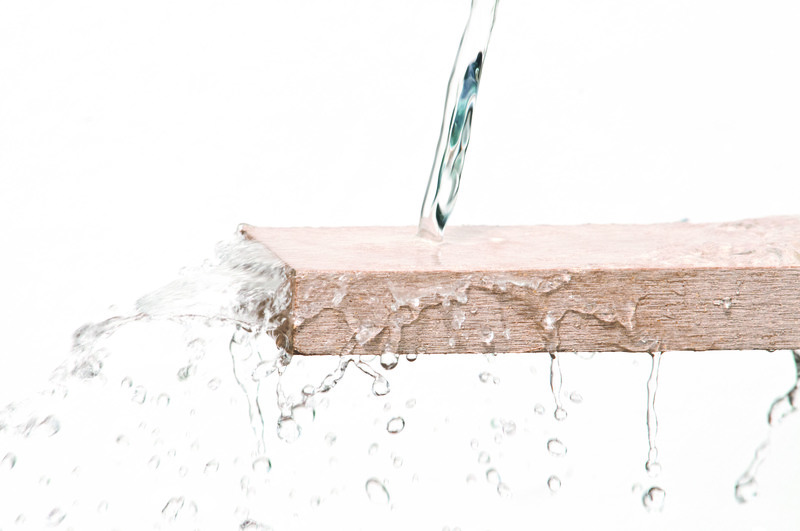 Resysta therefore is a genuine material alternative to wood especially in wet areas such as spas, terraces and pool areas, furniture, garden and facade constructions. Apart from its high-quality appearance, Resysta products are non-slip and resistant to chlorine water and salt water and are therefore also employed on cruise ships. The raw materials required for the production of Resysta are available regionally worldwide. This applies to approx. 60% rice husk as well as approx. 22% rock salt and approx. 18% mineral oil and eliminates the need for long routes of transport even before production. Resysta International GmbH licenses worldwide production to large industrial companies, such as Ineos (Europe), Reliance (India) or Agio (China). These in turn sell the primary material to the local industry, which uses it to produce local products for local markets. The product line ranges from decking, facade elements to garden furniture or ship decks. “We are very proud that the material Resysta is used in product design as well as in the architecture of well-known international brands, designers and architects like Starbucks, Waitrose or Mario Romano and we contribute to a sustainable design in international architecture”, emphasizes Roland Stoiber, COO of Resysta International GmbH. In partnership with manufacturers of products made of Resysta, Resysta International formed a recycling consortium and launched a recycling cycle. Companies have committed to recycle leftover waste, such as cuttings or sanding dust, during production, and to take back residues from the markets to return them to the product cycle. Waste and residues are crushed and reintroduced into the production process. Despite the short history of the material Resysta and its enormous durability, the Polish company Croswood (www.croswood.pl) is already recycling today, producing a part of its products from residues from production and construction cuttings. The recycling consortium set up collecting points in five countries (GER, AUT, CH, NED, POL) ans is also supported by Vinylplus (www.vinylplus.eu), a voluntary sustainability development program of the European PVC industry. Resysta products are manufactured or processed by many companies in a wide variety of industries. All products are uniquely weather-resistant and have the natural look and feel of high-quality wood. The Green Product Award is an annual international competition for innovative, sustainable products & services in the categories architecture, working environment, energy, electronics, fashion, research, freestyle, children, communication, consumer goods, mobility, furniture and home accessories. The award is aimed at established companies and start-ups. The object of the award is to create a collection of green solutions for consumers and buyers to replace existing products with better (green) products. Since 2013, the competition has received submissions from more than 40 countries. Since then, the exhibits have been presented to more than 600.000 visitors at international trade fairs and design festivals. CEO Bernd Duna was confronted with the scarcity and the associated rising prices of sustainable produced precious woods very early because of his parental furniture business. With this certainty, he developed and patented Resysta, the only natural fiber material in the world that can replace tropical wood in terms of quality and materiality without having to cut down even one tree. The technology company Resysta International awards licenses to leading companies in the large-scale industry worldwide for the production of the sustainable and 100% reusable material. Experience, constructions and applications of more than 15 years convince manufacturers worldwide. These produce, by means of various manufacturing processes, the most diverse products made of Resysta in natural look and feel.